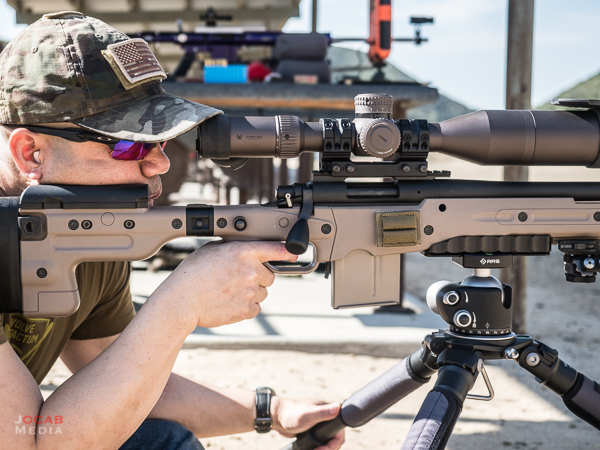 A few weeks back, Brownells sent out emails regarding some new products they were selling related to the Remington Defense products made for the United States Army, specifically the Modular Sniper Rifle platform. Supposedly, the Remington Defense items Brownells acquired to resell were contract overrun items. Among these, included Remington Defense AICS-style 10-round magazines in Flat Dark Earth. The Brownells price was $65 at the time they posted, but it slowly dropped to $50 at the time I am composing this article. I was intrigued by the magazine availability so I ordered three. The magazines arrived individually sealed in Brownells white and clear bags. The first thing I noticed is that these magazines are nothing like the dark brown product image on the Brownells product page. 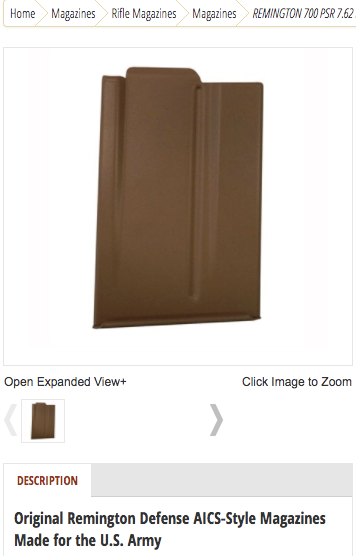 Screen capture of Brownells product page. 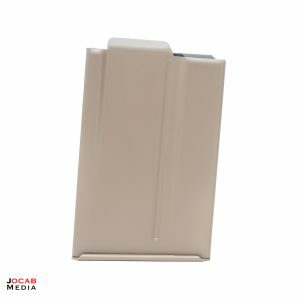 Anyway, the color of the magazines as received look more like FDE, and if anything, are very close to the AICS Pale Brown color. 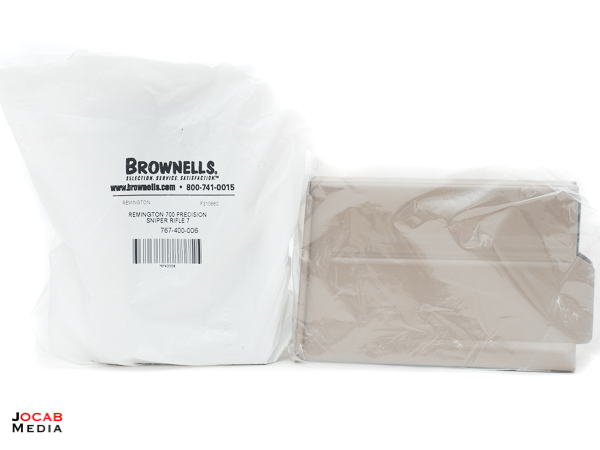 When ordering, the Brownells product page does not make it clear who the true manufacturer is. It indicates “AICS-style” which makes one assume it is a Remington made magazine. But open receipt, it is very clear that these magazines are actually made by Accuracy International. These are basically Accuracy International 10-round magazines made for and re-sold by Remington Defense for their PSR/MSR package. The internals are exactly as you would expect from an Accuracy International 10-round AICS magazine. The above product shots are all with strobes/flash lighting, but it is fairly reflective of the shade of FDE/tan. It does have a different appearance in hard sunlight, but the contrast to the Pale Brown of the AICS 2.0 is about the same as when it is lit by flash. Again, the color is not the dark tan like in the Brownells product photo, and is close to the color of the AICS 2.0 Pale Brown (but not exact). I did find an image of the Remington MSR package that contains many of the supposed contract overrun items being sold by Brownells. 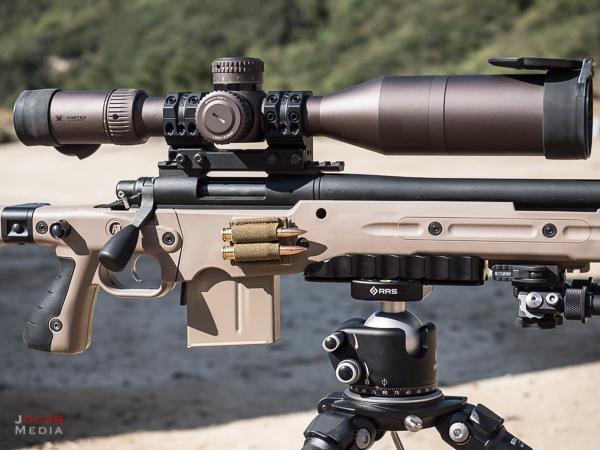 The image is in an article on the Precision Rifle Blog from 2015-09-24 entitled, Remington MSR Hands-On Review. 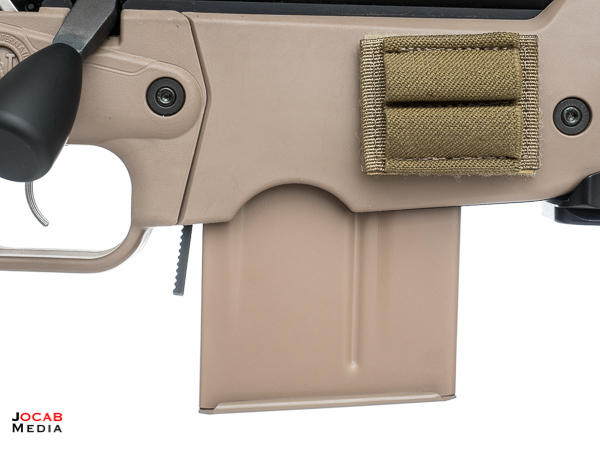 If you visit this article and scroll mid-way through, there is a daylight photo of the “Complete PSR Kit” showing off all the items inside hard case, include several magazines, which seem to have a hue more inline with what I received from Brownells. 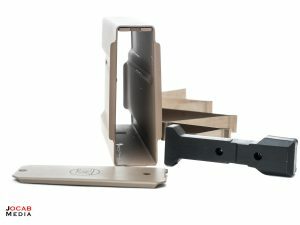 As far as function, the magazines work flawlessly. I do not own any regular black Accuracy International 10-round AICS magazines, but I own three black AI 5-round AICS magazines. Those 5-round magazines tend to scratch up the brass, even after I tried sanding the feed lips to eliminate burrs. 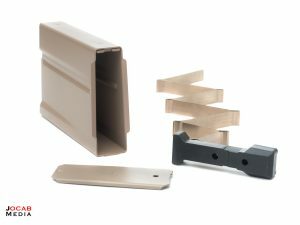 What I like about these 10-round Remington Defense contract magazines is that the teflon finish makes the feed lips very smooth, and they do not scratch or etch the brass. 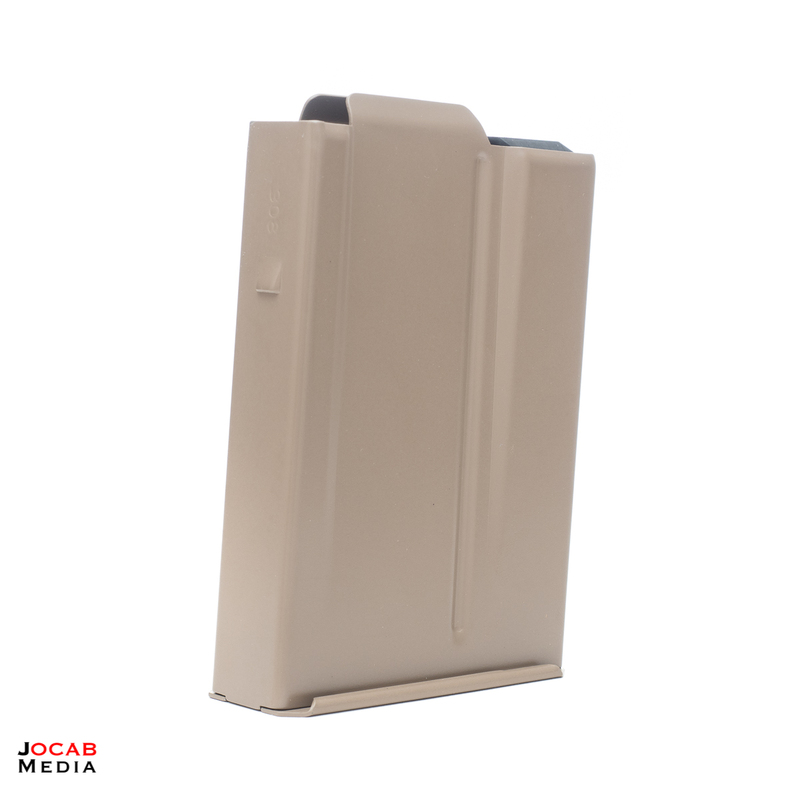 I know this is a petty issue, but the scratching of the brass does bother me, which is why I actually kept using the Magpul PMAG AC AICS magazines at the range. Anyway, if you are looking for some steel 10-round AICS magazines, look no further than the Remington Defense contract overruns that Brownells is still selling. As I stated, these are currently down to $50 each (as of 2017-07-17) and the price could drop even more (or go back up). 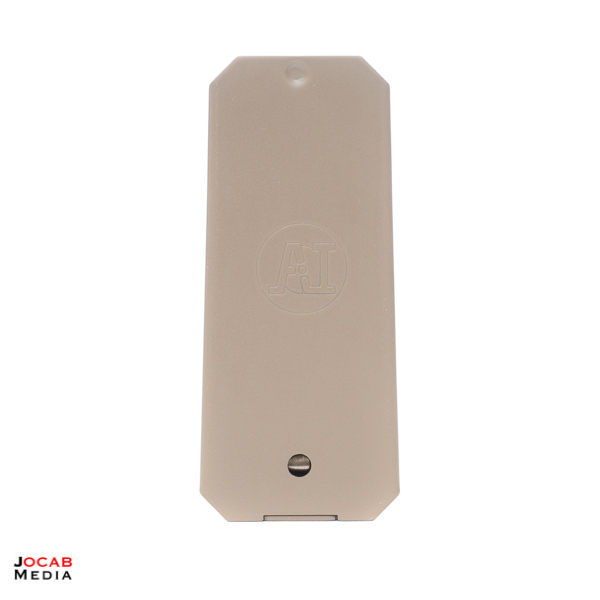 I highly recommend getting a few if you have an AICS magazine fed rifle. These magazines are most likely not going to be a regularly stocked item, so when they sell out, I do not think we will see these again (at least not for a long time).